You are entering the world of my buttons, a world that will make you think … particularly about the role of the average investor in the stock market. Ideally, increased understanding of the thoughts expressed on these buttons—particularly the wisdom that comes from thinking differently—will help you become a better investor … though it will take time. Where did the buttons come from? It all started in 1963. That was the year Humphrey B. Neill hosted the first Contrary Opinion Forum in Manchester, Vermont. Humphrey, who styled himself “The Vermont Ruminator” had written a number of books on investing, including “Tape Reading and Market Tactics” (1931), “Understanding American Business” (1939), “The Inside Story of the Stock Exchange” (1950), “The Art of Contrary Thinking” (1954) and “The Ruminator” (1975). The Contrary Opinion Forum was a gathering at which he spoke and shared ideas-typically on the subject of investing-with open-minded and contrary-minded people. 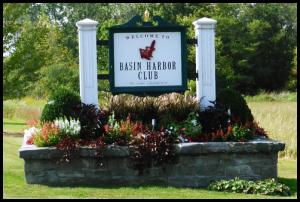 The Forums became an annual event, and soon Jim Fraser joined Humphrey as co-host, relocating the Forum to the Basin Harbor Club in Vergennes, Vermont. Jim ran a money management business in Burlington, Vermont, relying in part on contrary opinion to guide him into stocks of value and away from areas too heavily influenced by the crowd. But Jim was more than a money manager; he was also a dealer in old books (primarily books on investing) and he eventually came to republish many of them as Fraser Publishing Company. While I never knew Humphrey Neill (he passed away in 1977, and I attended my first Forum in 1986), I knew Jim Fraser well. A kind and wise independent thinker who found his own quiet road to success, he was notable for donning an old silk top hat at the Forum and honking a battered brass automobile horn to attract the crowd’s attention and start the event rolling. Somewhere along the way (quite early), Jim began the tradition of printing the buttons (soon producing two a year) and distributing them to the attendees, and I’ve kept all mine. Like Jim, I have a soft spot for the wisdom of the ages and a well-turned phrase. Jim bowed out of the business in 2004, and the Contrary Opinion Forum lasted 10 more years before dwindling attendance brought an end to the tradition. But the buttons—I have 108 of them—live on! For many years, I’ve had my buttons arrayed on the wall of my cubicle, where I can draw inspiration and wisdom from them, and these web pages are my attempt to pass some of this wisdom on to you. All the interpretations are my own. Interestingly, while doing the research for these interpretations, I learned that many of the sayings were quotations (often mis-quotations) from famous people, and this has added a new layer of meaning to many of them. I hope you enjoy your explorations here, emerge a little wiser and return often. "Hi Crista, Once again terrific and easy to understand analysis. I love your approach to investing. I took a position in Borg Warner last week because I agree with your analysis. I am also looking at some of your other recommendations and may purchase several of them in the next day or so. Thanks again!"